I would like to thank the faculty, staff, student ambassadors and administrators in Student Services for making Spring 2018 a wonderful semester in serving our students and community. Many excellent programs and services have been implemented to ensure our students feel connected on our campuses. The programs and services developed are student focused and designed to support students through to completion of their educational, career and personal goals. Thank you for your hard work and dedication in serving the Cuesta College community. 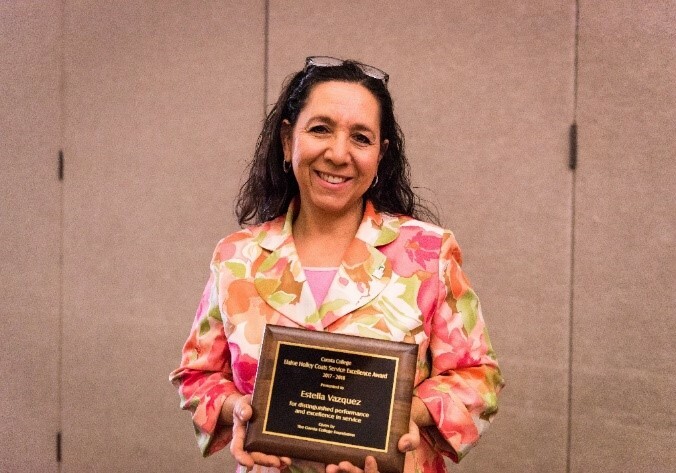 Enrollment Success Specialist, Estella Vazquez was awarded the Elaine Holley Coats Award for Excellence this spring. Estella was recognized for her excellent service to students at Cuesta College and the community of San Luis Obispo. Estella is a selfless leader who gives her all to assist people in the pursuit of their educational and personal dreams. In academic year 2017-2018, Estella served as the President of the Cuesta College Latina Leadership Network, which won “District of the Year” at the statewide Latina Leadership Network Conference. Thank you for your service to students and the community Estella. Congratulations on winning the Award of Excellence! 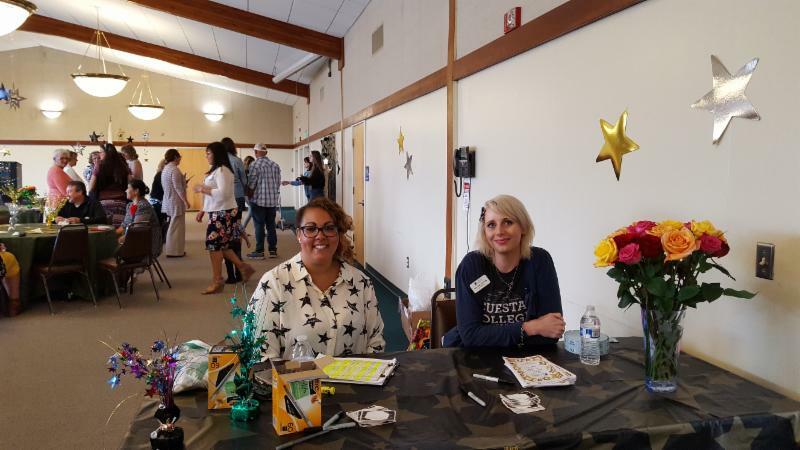 Enrollment Success Specialist Kristina Barckley, CaFE Specialist Corinna Stolp, and Employment Services Coordinator Shamarah Giannetto partnered with Restorative Partners to coordinate and implement the first ever Career and Education Fair at Juvenile Hall in San Luis Obispo. 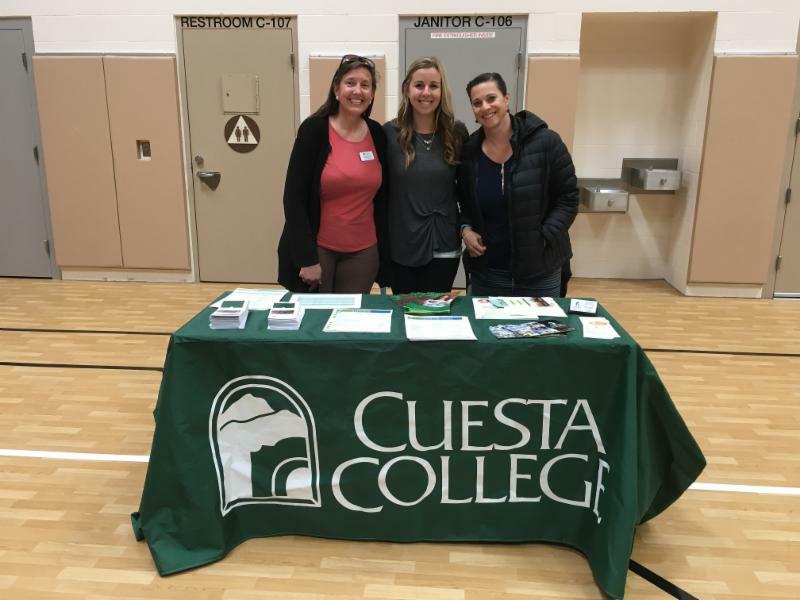 Local employers and Cuesta College gave a short presentation to the youth in custody and participated in a fair to provide information and resources. Enrollment Success Specialists and Admissions & Records hosted an enrichment workshop geared for home-school families. The workshop discussed the incentives of dual enrollment, the "nuts of bolts" of how to get started, an overview of Cuesta College Student Services, and a campus tour. Forty-six community members attended. Ninety-six percent of the respondents reported they were ‘Likely’ or ‘Very Likely’ to attend or recommend Cuesta College’s Enrichment program after the workshop. 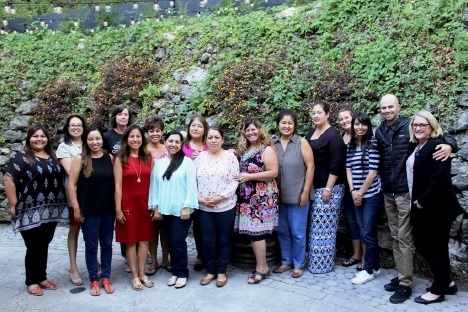 Congratulations to the Latina leadership Network at Cuesta College Chapter for being selected as the “District of the Year“ for California Community College LLN chapters at the 31 st Annual Conference “El Poder de la Mujer Latina” on April 21 in Buena Park, California. A total of six students and eight faculty and staff attended. Two members presented a “Beyond DACA” workshop, and three members were selected to be part of the statewide LLN Board of directors. Everyone came back inspired and motivated to continue their participation in LLN. Two years ago Cuesta College partnered with the SLO County Food Bank and established a monthly food distribution at both SLO and North County campuses. Since the partnership began in September 2016, over 2000 students and community members have been served. The numbers indicate that food insecurity is an issue for the student community. 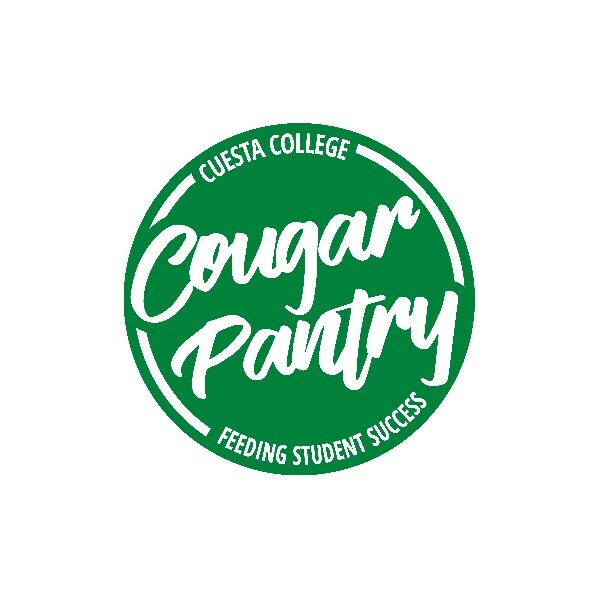 Because of this,Cuesta was able to develop and open the Cougar Food Pantry. Since its opening on April 10, the SLO campus food pantry has already surpassed 600 visits! The North County Cougar Pantry will open in fall 2018 in the new Campus Center. The Associated Students of Cuesta College (ASCC) is fully committed to the pantry and has allocated $5,000 for the 2018-19 year. They have also established a “Food Pantry” account through the Foundation and encourage you to donate today! ASCC recently held their 2018-19 elections and Jordan Jantzen will return as President/Student Trustee and Camri Wilson will start her new role as Vice President. If you have an idea for a campus wide activity and would like ASCC support, please email agutierr@cuesta.edu . Cuesta's Health Services Center is very excited for the opening of its new Student Health Center in North County this fall! Mental Health Services continue to expand and this year served over 770 appointments with MFT Tonya Leonard and MFT associates Janet Florez and Jyll Maxwell. Summer Session Schedule: Student Health Services will close after commencement May 18 th and reopen for summer school on June 19 th . We will be open June 19 th through July 19 th Tuesdays - Thursdays on the SLO campus from 8:30am-3pm. TB skin testing can be done on Tuesdays, walk-ins welcome! The Medi-bin will be accessible all summer for common over the counter medicine and nursing services are offered on Tuesdays and Thursdays. Call for an appointment 805-546-3171. We would also like to say farewell to Riley Hasche. We have been blessed with her service at Student Health Services and wish her luck in her new endeavor! Finally, please welcome Nicole Johnson. She joined Cuesta College as the Interim Program Coordinator of Student Health Services in March of this year. Jen Donaldson is the new Director of DSPS. Jen was a community college student out of high school and transferred to CSU Chico where she earned her Bachelor degree in Social Work and her MSW from Boston University. 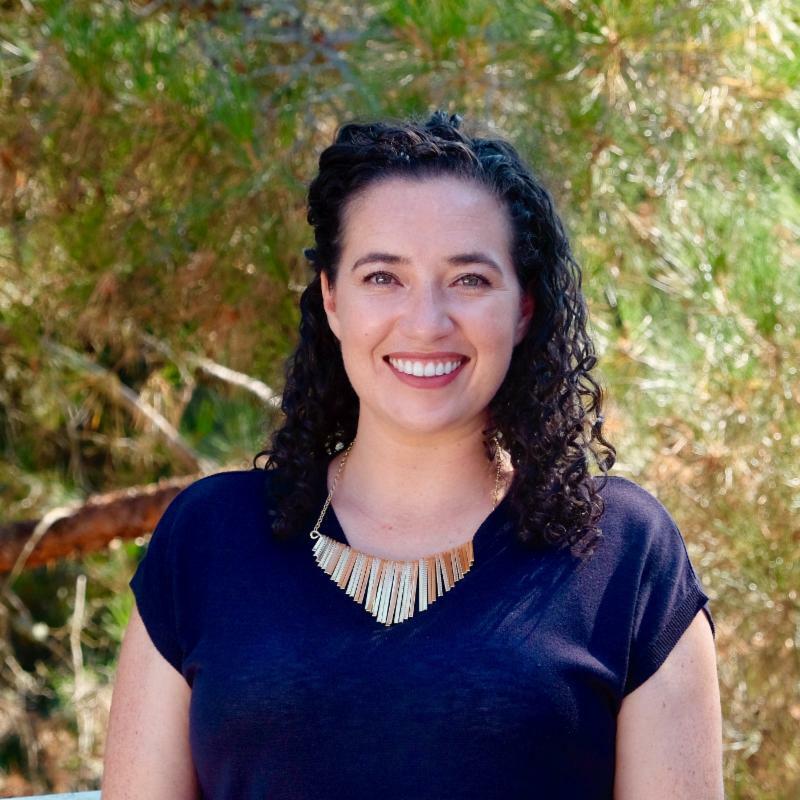 Jen has worked in higher education for over 14 years; she began her career as a counselor and disability services coordinator and held the position of Dean of Student Affairs at a private college in San Diego for 8 years. A couple of years ago Jen moved to Paso Robles to be closer to family and worked at Cal Poly in student conduct and Title IX. She always felt though that her passion was working in Disability Services and is so excited to be in this role and part of the Cuesta team! Michaela McLaughlin is joining the Cuesta Community as the new Student Services Division Assistant. Originally from the Central Coast, Michaela returns to California from Austin, Texas. With an educational background in Environmental Studies and Real Estate Development, her work experience includes working in the nonprofit, real estate and hospitality sectors. Her passions include teaching Flamenco, traveling internationally, and event planning. Jeffery Alexander Jr. is the new Director of Outreach, Orientation, and Success Activities. He grew up in South LA County. He studied Communication at California State University (CSU) Channel Islands and received his M.A. in Education from Ashford University. 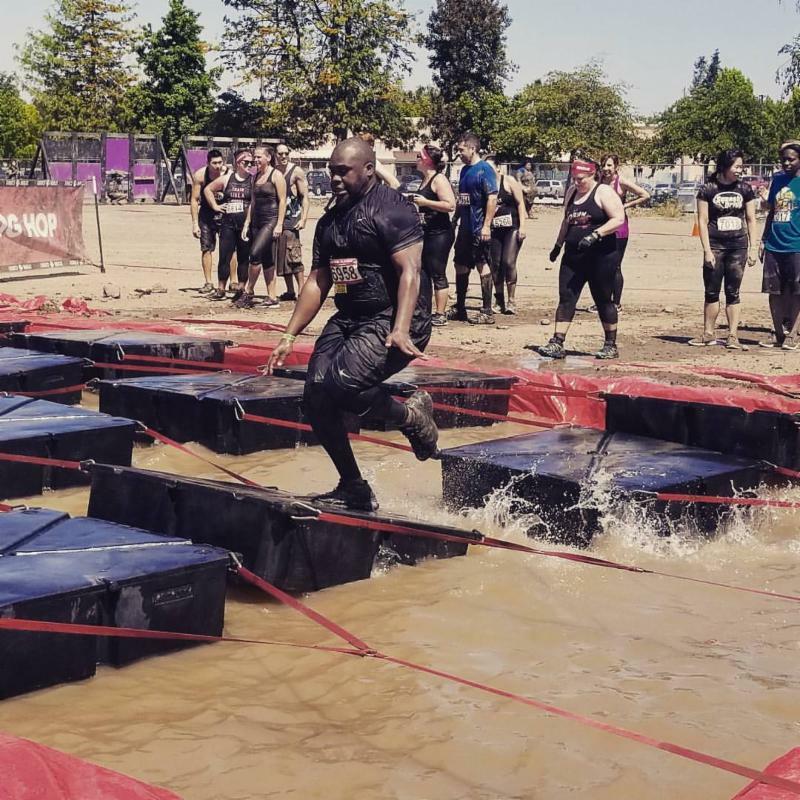 Jeffery has worked in higher education for the last seven years at CSU Monterey Bay, Winston-Salem State University and Cal Poly San Luis Obispo. Throughout Jeffery's experience, he has had the opportunity to work in various capacities that range from student housing, outreach, recruitment, and student support services. 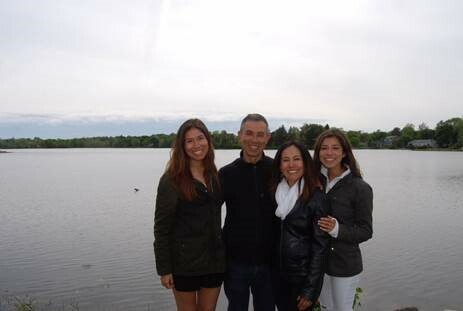 Jeffery enjoys staying active by playing almost every sport and participating in obstacle course races. Nicole Johnson joined Cuesta College as the Interim Program Coordinator of Student Health Services in March of this year. 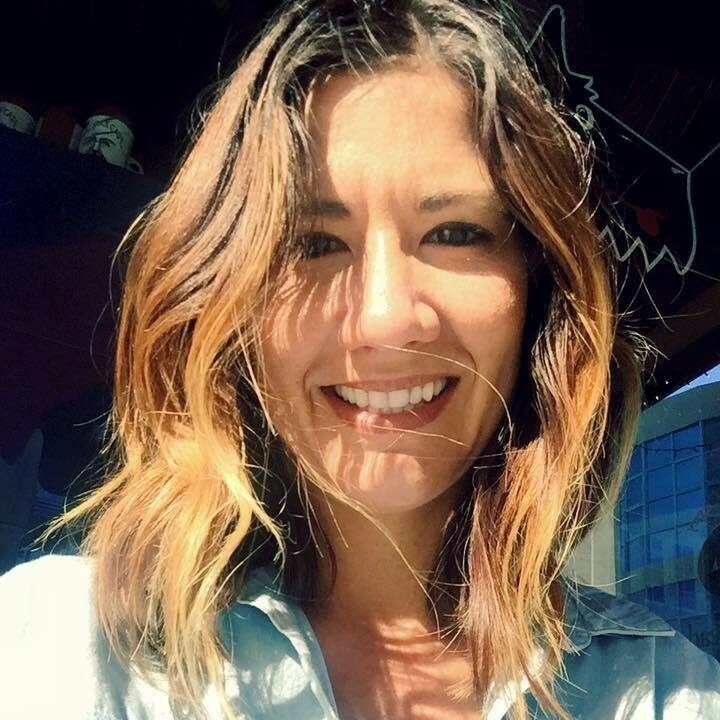 Nicole spent over 12 years working in Maternal/Child Health and the Neonatal Intensive Care Unit as a hospital staff nurse, high-risk delivery nurse, team leader, and supervisor before moving to the central coast in 2013 and pursuing school nursing at Lucia Mar Unified School District. Most recently, she worked with both high-risk youth in the secondary school setting of a continuation high school and at Arroyo Grande High School. In addition, she worked with expecting and parenting teens in secondary schools. During this time, Nicole completed her Masters in Nursing through California State University, Sacramento (CSUS) and earned her degree in December of 2017. 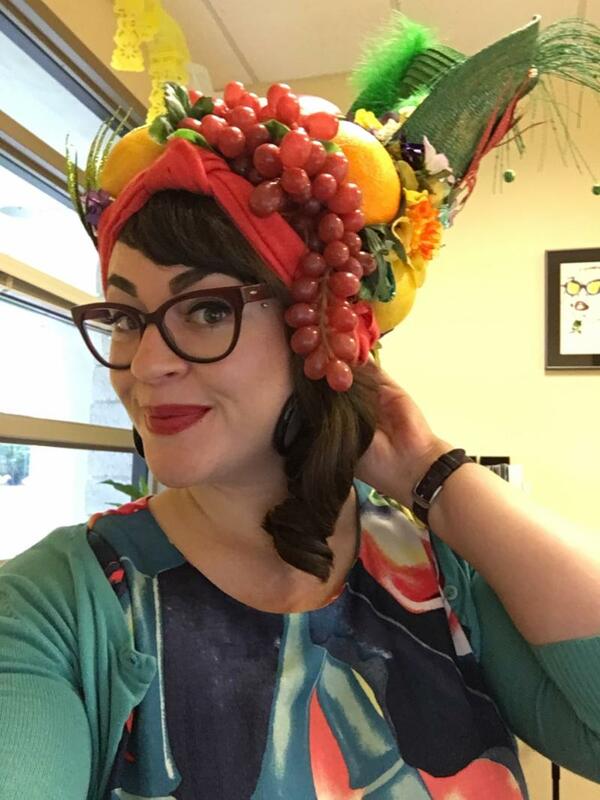 Her time working with high schoolers and studying at CSUS led to an interest in youth mental health wellness; specifically, how school-based mental health services improve academic success. She looks forward to continuing this interest in program development for all facets of health and wellness that impact college students. In her spare time, Nicole enjoys spending time with family, including her two children, Jack and Lily, her husband Keith, and too many animals to list! 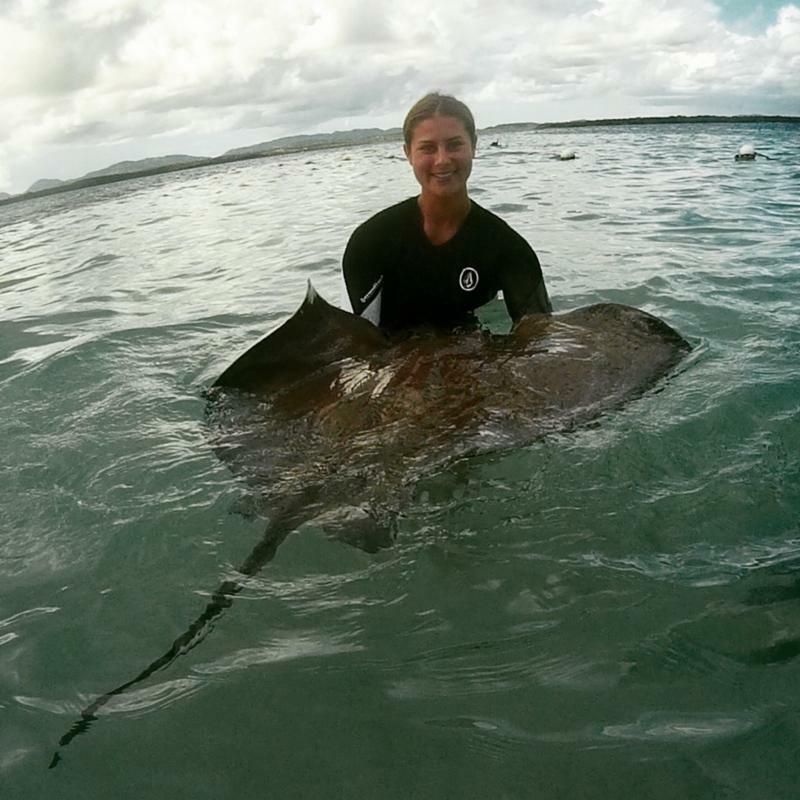 You may find her at the beach with a paddleboard, kayaking, hiking a local trail with her dogs, or downtown at a restaurant enjoying the local flavors. Nicole Grant is the new Administrative Assistant to the Dean, North County Campus and South County Center. She brings over 10 years of experience to the role with a background in human resources, entrepreneurship, project management, and technical training. In addition to her background, Nicole spent six years at the Bill & Melinda Gates Foundation where she supported the human resources function and the US education teams. During her time there, Nicole was lucky to meet and learn from important philanthropic leaders, such as President Jimmy Carter, Jane Goodall, and U2’s Bono, in addition to fundraising with Bill Gates Sr. and coordinating events for teachers and school districts across the country. While still at the foundation, Nicole co-founded a specialized marketing agency, which brought her back to California in 2012. In 2017 Nicole sold her shares of the agency, and was lucky to land at Cuesta’s North County Campus a few months later. These days Nicole is enjoying life on the Central Coast while working at Cuesta. In her spare time she enjoys taking care of her flock of chickens and her farm cat, helping her neighbors with their pigs, alpacas, goats, and donkeys, and working in her garden. Sharaya Olmeda is the new Administrative Assistant to Dr. Sanchez; she transferred from the Academic Affairs department where she worked as the assistant to Dr. Deb Wulff for two years. Sharaya is currently working on her Masters in Library and Information Science, and is excited to learn and get more involved with the new programs that Dr. Sanchez and his team are bringing to Cuesta. In her free time Sharaya enjoys volunteering, bowling and seeing live music. Credentials Solutions, Inc., Cuesta's electronic transcript vendor surprised the A&R team at the CACCRAO Conference on May 1 with an award called “Spirit of Innovation” for implementing eduCheck (Degree/Enrollment Verification) through the myCuesta portal. The eduCheck is up and running under My Web Services channel in the Student – Student Records folder. The Veterans Resource Fair held on Saturday, April 7th was a complete success. One-hundred-ninety-three Veterans registered but over two-hundred-twenty-five attended along with various community providers and employers. Because it was such a success, the Veterans Resource Fair will be held at Cuesta next year on April 6, 2019. 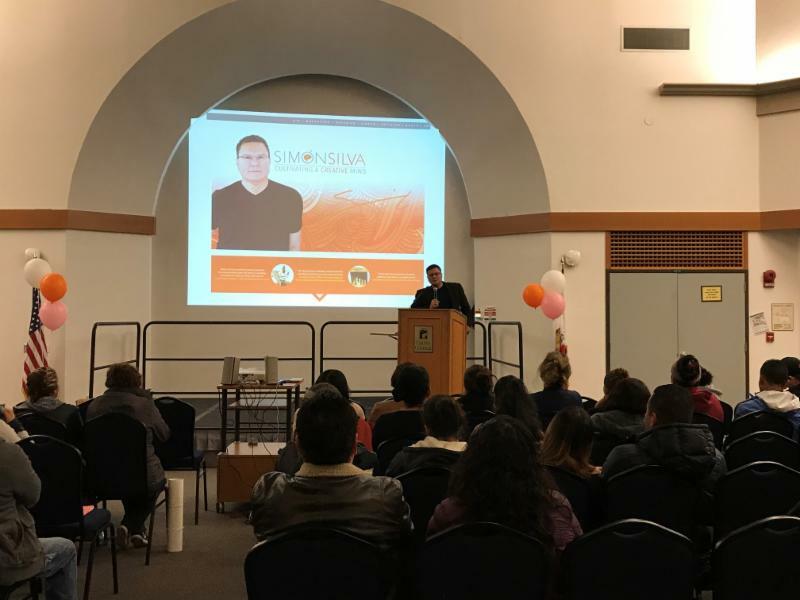 Well-known artist, author, and speaker Símon Silva visited Cuesta College in March to help motivate ESL Students at all three Cuesta Campuses – AG, SLO, and NCC. Silva is the author of Cultivate a Creative Mind , Small-Town Browny , and Gathering the Sun . 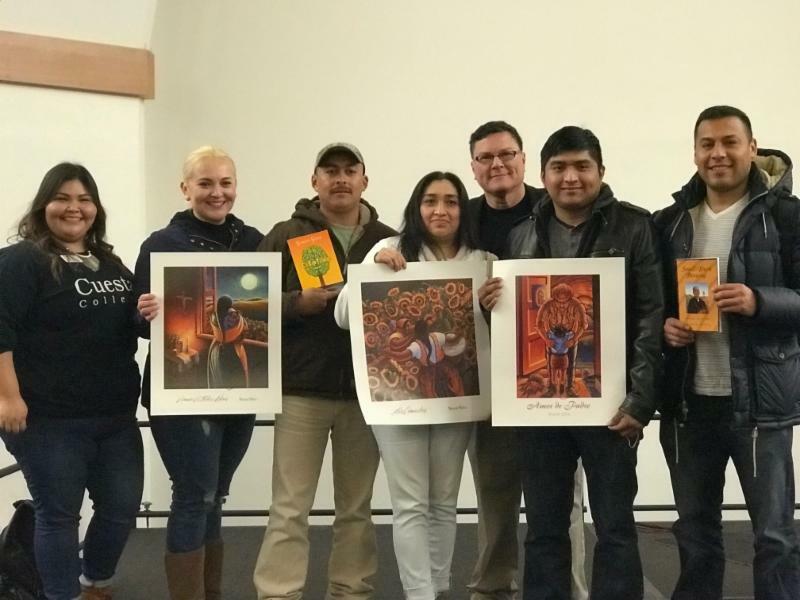 Silva travels around the country presenting his workshop “Cultivate Your Mind,” which encourages adults and students to communicate using the artistic talent that resides within them. Over 275 ESL students were in attendance; including students from off-campus classes! Students were not only able to gather for an inspirational event with food and raffle prizes but they gained a sense of community, networked and socialized with other students, faculty and staff. The ESL Department hopes to offer more events like this in the future. CaFE Center staff and counselors hosted the 3 rd Annual CaFE Year End Celebration Event at the San Luis Obispo County School District multi-purpose room, AKA J-2. 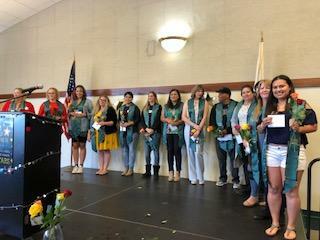 Each Year the CaFE Center, which houses the CalWORKs, Foster Youth and EOPS/CARE programs hosts a luncheon which honors the graduates of these programs. This year the CaFE Center saw over 40 students graduate with Associate Degrees, Certificates of Achievement and Transfer Degrees; several students will be moving on to many CSUs including Cal Poly and Monterrey. The Celebration also honored Denise Chellsen, a dedicated Cuesta College Mathematics Instructor, and Tina Sullivan, an Employment Resource Specialist with the Department of Social Services, for their extraordinary support of the CaFE Center students toward their educational journey. Over 100 family, friends and graduates were in attendance as everyone enjoyed a tasty taco luncheon topped off with a beautiful fudge cake with strawberry filling decorated with the theme: Shoot for the Moon, even if you miss- you will land among the stars! The all-star program included two student speakers, Wendy Rucker and Carol “Jody” Davis, who spoke about their journey to graduation and the wonderful support they have received along the way from family, friends and the great Cuesta CaFE staff. This year, the Financial Aid Office broke all of its previous records in the awarding of the Pell Grant. To date, almost 8 million dollars have been disbursed to over 2,450 students—this figure doesn’t include the upcoming summer term. The office estimates that almost twice that number of students would be eligible if every student were to complete the FAFSA or CA Dream Act application process. 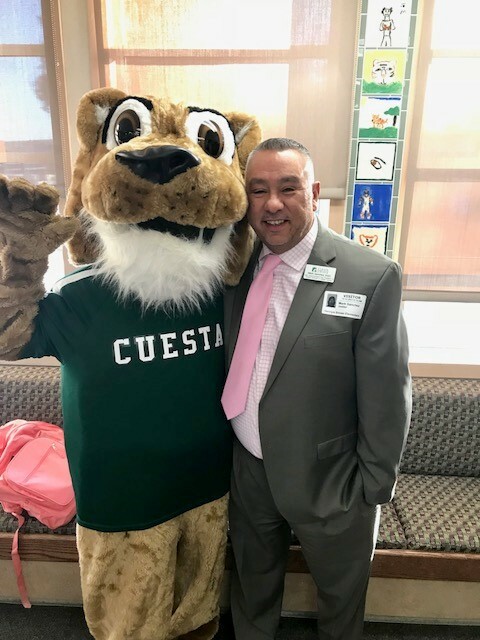 A special thanks to the excellent work of all student services departments at the Cougar Welcome Days events, over 600 graduating local area high school students have completed the requirements for the Cuesta Promise weeks prior to their summer break. This summer, students will have access to “Year-Round Pell” which provides for funding in the summer even when students have already used their maximum annual amount. As a result, more of students can afford summer classes. If you encounter anyone in summer having difficulty making ends meet, please send them to Financial Aid! Glenda Moscoso is currently serving as Interim Student Services Chair. In July 2018, Glenda will start her four-year term as Student Services Chair. She has worked for Cuesta College since 1997. She joined the Counseling Team in August 2004. She is currently serving as Interim Student Services Chair. In July 2018, Glenda will start her four-year term as Student Services Chair. Glenda is a strong believer in the power of education. Her passion is helping students to be successful in their academic endeavors, outreaching particularly to minority students. . She is an immigrant and a first generation, non-native English speaker who began her studies as an ESL student at an adult education school. She went on to community college and successfully transferred to a four-year university. She had to overcome many obstacles and challenges in order to be where she is today, such as language barriers, financial difficulties, finding a balance for the different life roles including being a mother, wife, student, employee, and community volunteer. Glenda feels that it is now her turn to help make a difference in the lives of the students at Cuesta College, especially at-risk populations. Glenda has a strong commitment to personal and professional growth and has a great sense of community involvement. She is a past board member of the San Luis Obispo County Community Foundation Board, Vision Unida, past Co-Chair of Living in America and served as President of the Statewide Latina Leadership Network of the California Community Colleges for 2005-2006. She is a founding member of the Latina Leadership Network Cuesta College Chapter. Glenda served as President of Toastmasters Club #83 for 2014-2015. When not at Cuesta or volunteering in the community, Glenda loves spending time with her family, hiking, cooking and enjoying our beautiful Central Coast. At the April 11 th Cuesta College Board of Trustees Meeting, Linda Vasquez, Regional Director for the Campaign for College Opportunity, presented the Board with a recognition for the college’s excellent work in developing and implementing Associate Degrees for Transfer (ADT’s). This excellent work is a result of strong collaboration between Instructional and Counseling faculty in developing ADT pathways. The Campaign for College Opportunity named our Instructional and Counseling faculty “Champions of Higher Education- Excellence in Transfer”. Congratulations to our team of faculty for their excellent work.